The mobile revolution has completely changed the way people relate to brands – so how can a brand take advantage of Mobile. We must constantly think of the end user and ensure that we are using the mobile platform in a creative and insightful way so as to the best mobile experience for users, advertisers and media owners. 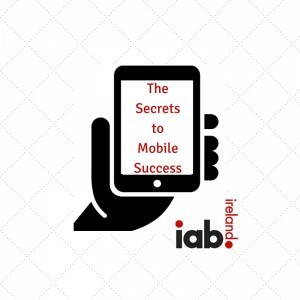 IAB Ireland’s Mobile Council is running this event to share the latest on mobile trends, the latest IAB global actions to combat ad blocking, and an expert view on the Secrets to Mobile Success for your brand. We hope you’ll all join us for a drink afterwards, kindly provided by our host Twitter.